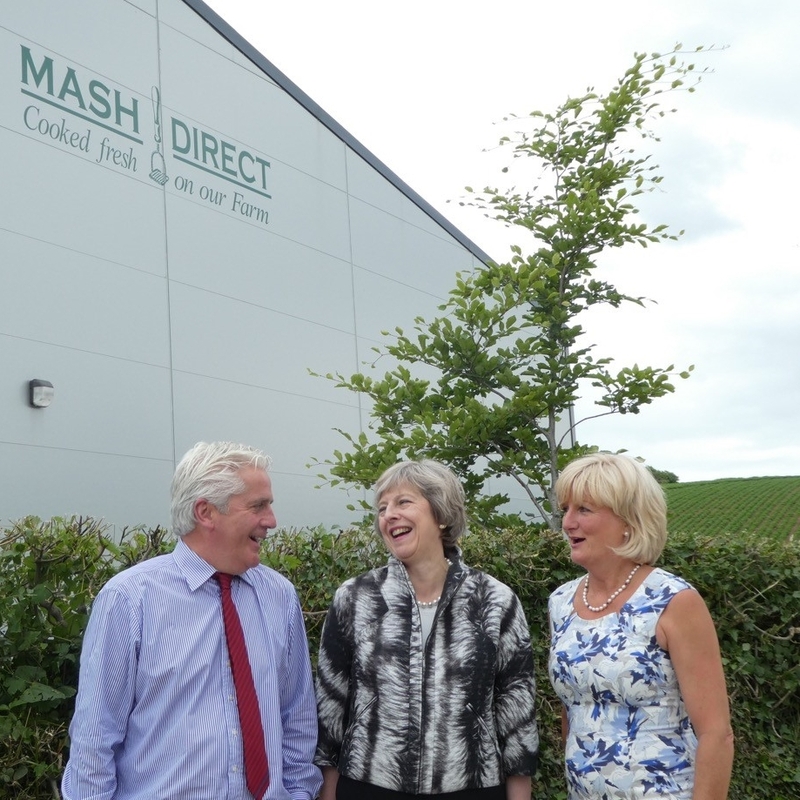 Mash Direct were thrilled to welcome the Home Secretary Theresa May to their farm along with Mike Nesbitt Leader of the Ulster Unionist Party and Philip Smith Ulster Unionist MLA for Strangford. They took the opportunity to show the Home Secretary around their farm and demonstrate how they produce and market their wide range of gluten free products. The Home Secretary Theresa May was on a one day tour of local businesses in Co Down, Northern Ireland on Tuesday (21st June). Mash Direct were fortunate enough to be amongst the chosen few involved in the visit as the Home Secretary was interested in learning about the success of company both in the UK and export markets and how they grow, steam cook and package all their products. This prestigious visit adds to the list of politicians, celebrity chefs and sports stars that have visited Mash Direct, including David Cameron, Jamie Oliver and Rory Best.